It is important to nominate members to your EPF account. This is so because in the event of the user's demise, only the nominated members will be able to withdraw the EPF balance. Notably, one or more nominees (with specified sharing percentages) can be added. 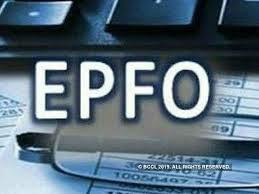 First off, log on to the EPFO website, then sign in using your UAN (Universal Account Number) and password. Next, click on 'Manage' tab, and go to E-nomination option. Following this, click on 'Add family details' and enter the details (name, DoB, address, relation, Aadhaar number) of the members you wish to nominate. To add more than one nominee, click on 'Add row' option. Next, go to 'Nomination details' and declare the total amount and nominee shares. Then, click on 'Save EPF nomination' button. Then, click on e-sign button to generate OTP, which shall be sent to your Aadhaar-registered mobile number. Verify the OTP. Finally, your E-nomination will be registered with the EPFO. There's no need to send any physical document to your employer after completing online nomination.